New comic book available now! 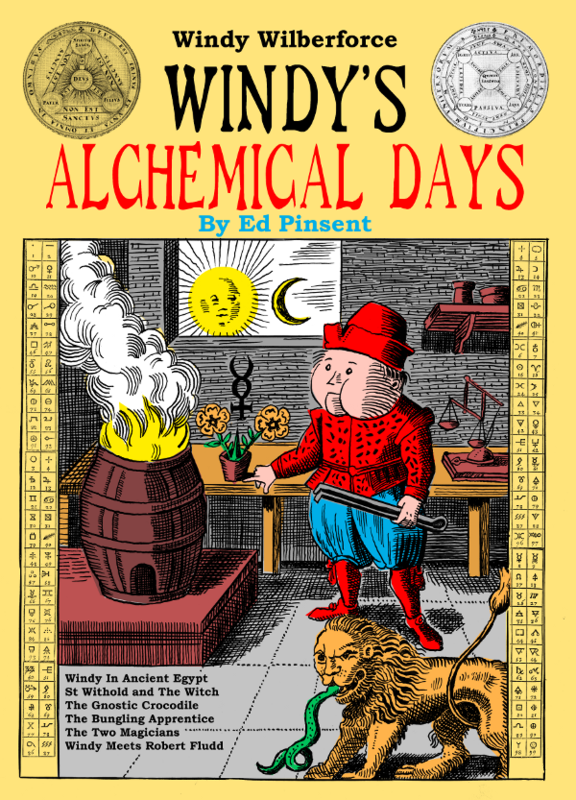 This 44pp book brings together all of Windy’s “alchemical” adventures under a single cover. There is also one previously-unpublished 8pp story “St Withold and The Witch” and a new two-pager where Windy meets Robert Fludd. Plus new cover art drawn for the occasion. On and off these episodes have occupied Windy and myself for about the last ten years, although there are inklings of the ideas from further back. The Scorpion King, mentionned fleetingly in A Book Of Signs, is one character resurfaces in the ancient Egypt story. The stories have come to me haltingly and slowly, and (much like the sprawling array of The Saga of the Scroll) they may not add up to a completely coherent whole, but there are some common themes. Available from www.lulu.com priced £5.00. Click the logo below to purchase same.